If you would prefer a hard copy registration form, click here. 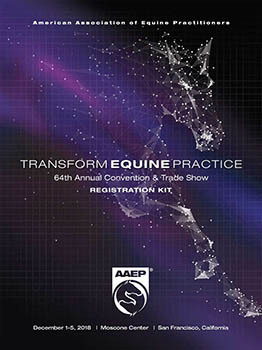 Anyone may register for the AAEP Annual Convention. AAEP Members in good standing receive discounted rates based on their member status. AAEP Member: Paid full membership dues through June 30, 2019. Fee covers meeting registration, access to trade show and 2018 Annual Convention Proceedings book. AAEP Honor Roll Member: Any member who has attained the age of 70 with 40 years of AAEP membership. AAEP New Member Applicant: Fee covers meeting registration, access to trade show and 2018 Annual Convention Proceedings book. Also covers initiation fee and/or dues through June 30, 2019. Attendees applying for membership must complete an application. A membership application, which will be emailed directly upon completing registration. Please note that if you are a new member applicant, you need to click the nonmember option to begin registration and then choose New AAEP Member registration category. 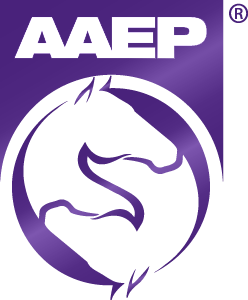 AAEP New Student Member Applicant: Offered to individuals pursuing their DVM, not to DVMs obtaining advanced degrees. Verification of academic status is required at the time of registration. * Includes registration to the student afternoon sessions. The Extended Student Program is an additional registration. Please note that if you are new student member applicant, you need to click the nonmember option to begin registration and then choose New AAEP Student Member registration category. Current Resident, Intern: A current AAEP member who qualifies in one of the mentioned categories. Verification of employment and/or academic status is required upon registration. Fee covers meeting registration, access to trade show and 2018 Annual Convention Proceedings book. Non-Member: Not a current paid member, or an individual not eligible for AAEP membership. Fee covers meeting registration, access to trade show and 2018 Annual Convention Proceedings book. *Must provide a copy of an unofficial transcript or equivalent, verifying current enrollment in a DVM or equivalent program. Student IDs are no longer accepted.